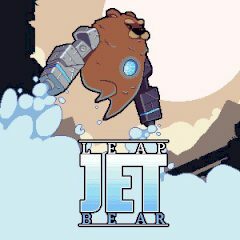 Are you ready for the bear adventure, where bears wear jets and fly up high? Dodge all obstacles and make sure you complete the level. Some bears are too tough and they wear jets like these bears do. Well, there is an important mission they must complete. Help them to reach the exit and find all missing characters. Each saved character means a completed level, so you need to find them all to complete the game.